Feeling spicy? Feeling cheesy?! I’m usually feeling a bit of both. 🙂 So in honor of that – here’s an awesome recipe for you this weekend! 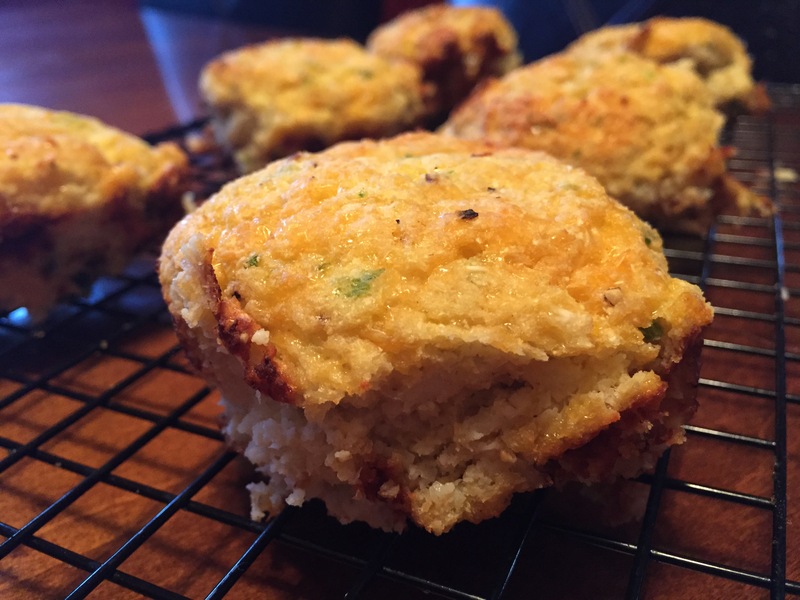 This might be my favorite cauliflower recipe thus far! I mean…it’s pretty hard to beat the cheesy cauliflower pizza, but these little guys are pretty rockin’. The consistency of these are great, and I bet if I handed one to you without you knowing that there’s cauliflower in them, you wouldn’t have a clue!!! Cheesy, spicy wonderfulness! My beautiful friend and client Sarah Sanderson sent me this recipe that she found, and I made a few adjustments based on what I had. I highly recommend this one! Combine the raw cauliflower rice with eggs, jalapeño, green onions and butter. Mix in the cheeses followed by the flour, garlic and baking powder, salt and pepper. Bake in a muffin pan sprayed at 375 for 30 minutes or until browned a bit. Turn off oven and let them stand for 30-hour.